In Chris Marker’s brilliant 1962 short film La Jetée, the narrator states that “nothing tells memories from ordinary moments. Only afterwards do they claim remembrance on the account of scars.” For the central protagonist, an unnamed man (Davos Hanich), it is the scar of memory that has haunted him for years. A traumatic childhood memory, of the death of a man on a pier and the face of an unknown woman, become a lifelong riddle for him. Little does he know that these same memories may inadvertently hold the key to saving the world. Setting the story in the post-apocalyptic landscape where mankind has been reduced to living like rats underground, Marker constructs a masterful work of narrative storytelling. The audience observes the man as he is subjected to a series of painful experiments. The goal of which is to send him back in time to decipher both the events that led to World War III, and to find the key to securing mankind’s future. 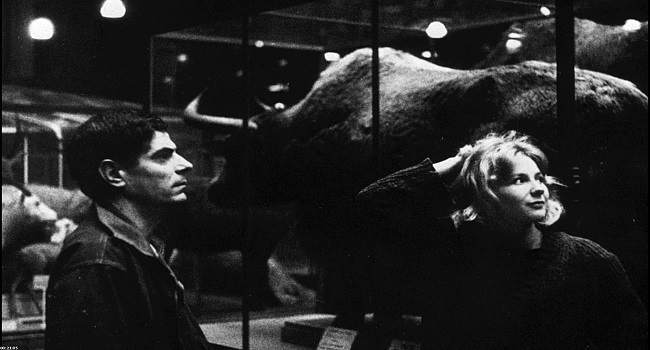 La Jetée is filled with poetic beauty and chilling despair. While there are those who would argue that there is no such thing as a perfect film, Marker’s short feels remarkably close to this achievement. It is a film about time-travel that still manages to feel innovative and timeless. For a film concerned with time and memory, two things that are fluid and ever changing, it is mesmerizing that Marker would employ still photography to tell his tale. 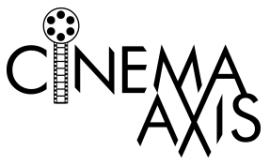 This technique allows the film to present a thought-provoking approach to memory. A photo is meant to capture a particular instance in time. It provides words for moments where actual words do not feel sufficient. However, much like the central character’s memories, not all images can be trusted. The photos in La Jetée not only tell the story of a blossoming romance between the man and a mysterious woman (Hélène Chatelain); but also one of a society on the brink. At first it appears that images are simply telling a straightforward narrative, but it soon becomes apparent that Marker is actually weaving an intricate tale. A narrative that goes beyond the frames of the images they see. Similar to the woman who is falling for a man that, like a ghost, jumps in and out of her life without warning, the audience must fill in the pieces of the story themselves. This adds an intriguing layer to the torment the man feels throughout. As he and the woman proceed to build memories out of seemingly insignificant moments of their courtship, the viewer cannot help but feel attached to these memories as well. It not only adds to their understanding of the man’s desire to live in the past with the woman, but also makes the final reveal even that more moving. If memory is nothing more than emotional scars, then La Jetée leaves a big mark on all who encounters it. Much like a lover we did not know we needed until their warm arms were wrapped around us, the film lingers in one’s conscious. It is not only one of the best short films ever made, but also one of the greatest films to grace the cinematic landscape period. Truly one of the best short films I had ever seen as well as a sci-fi film that defies convention. Add this to a double-bill with 12 Monkeys (which is a feature-film remake of La Jetee and you will get a hell of a double-feature. I will need to revisit 12 Monkeys to see how much of the source material Gilliam’s film kept. So glad you were able to finally see La Jetee. I’ve gone back to it a few times, and it never loses any of its impact. If you haven’t seen it, I’d suggest checking out Sans Soleil from Chris Marker. It’s very different but also really interesting. I will definitely be revisiting this film a few more times. So much to take in during the short running time. I will be sure to check out Sans Soleil as well. Heard great things about that film as well.